We have all seen the crazy dancing guy video. The video emphasises that a leader must start a movement. At the start you will be dancing like a crazy lunatic by yourself but eventually you will have your first follower, then more followers and dancing like crazy will no longer be crazy but the norm. The important thing is to get the first initial followers! For a while I have felt like I was dancing alone, but not anymore. I knew that when my faculty was programming for the new syllabus for the Australian Curriculum and a teacher said “I think we should make the natural disasters unit project based learning” and other teachers agreed. It is no longer me who is suggesting new pedagogical approaches, but other teachers in the faculty. I also had another teacher in my faculty move from very traditional styles of assessment to experimenting with new approaches. 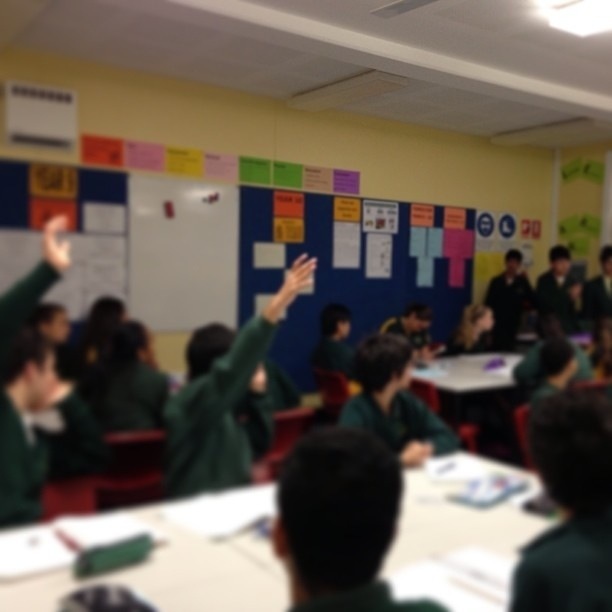 Instead of relying on written, research-based assessments, his Year 11 Physics class was given the challenge of teaching a historical model of the solar system to Year 8 students. There are heaps more examples of other teachers in the faculty embracing and driving change themselves. They are now becoming dancers as well and are encouraging others to dance with them. I am so proud of my faculty and how far we have progressed as a team, all with the aim of improving science learning for our students. One of the teachers on my faculty (let’s call her Ann for this post) said this to me during our scheduled discussion on her professional goals. At the start of the year, Ann said her professional goal for 2013 was to implement project based learning (PBL) in her Year 9 class. After looking at the BIE website for a while and attending one of Ashley Cantanzariti’s PBL workshop, Ann created crowd-sourced a driving question for this term’s unit for her Year 9 class with a cross-school group of teachers (this happened in our school’s School Development Day which involved our community of schools). We came up with the driving question of “Will an earthquake or tsunami happen in Sydney?”. The only teacher-centred lesson that Ann gave was the introduction lesson to let the students know the expectations and organisation of their new project. The class sorted themselves into groups and brainstormed what they needed to find out for this project. Ann used Edmodo for students to collaborate and upload their progress of work so she could give them feedback. After several weeks, the groups of students presented their findings to the driving question by choosing whatever medium they thought was appropriate. Some groups chose GoAnimate while other groups made a diorama. This ties in with the first quote on this blog post. Ann expressed that she didn’t feel like she was “teaching” because the students were driving so much of the learning. She recognised that most of the “work” was done prior to the project in designing the driving question and the workflows of how students will submit drafts of work, receive feedback and revise their work, but it was so different to what she was used to she felt like she was not teaching. Her concept of teaching was changing from content deliverer to learning designer and facilitator. I often feel this way as well. When my students are happily working in their groups, finding answers to their own questions, negotiating with others on what sort of product to make and reflecting on their goals, I often feel like I’m not their teacher or even needed in the classroom. I know that for effective learning to happen students are working harder than teachers (or just as hard) and an effective teacher makes themselves redundant overtime. However, both and I are still somewhat influenced by the traditional notion of teaching – that teaching is a teacher telling students what they need to know. This often challenged concept still has a lot of pull on what both teachers and students perceive learning to be. Overall this is a step forward for our faculty in terms of changing pedagogies. Instead of only me doing PBL, we now have another teacher implementing PBL and talking to others about how good it is for students. I became interested in structured observed learning outcomes (SOLO) late last year when I was contemplating how to approach learning design in the midst of implementing the new NSW syllabus for the Australian Curriculum. I want to lead my team in using this opportunity to do something that will shift the way our students learn. I don’t want to take the shortcut of cutting and pasting existing units of work and making it fit to the new syllabus. I have always known about SOLO from my work with the Essential Secondary Science Assessment and the National Assessment Program for Science Literacy, but until last year I didn’t make the shift from using SOLO to assess student learning to using SOLO to design learning. So when I began exploring using the hashtag #SOLO on Twitter, I found quite a few teachers in New Zealand and the UK who are much ahead of me in their SOLO journey. From there I met Andy Knill. I have never met Andy in real life, nor have I even spoken to him via Skype or anything. My only interactions with Andy are from tweets and sharing ideas on a Google Document. But from using only Twitter and a Google Document, we organised the tweetup, #sologlobalchat where educators from Australia, New Zealand and the UK shared and learnt from each other in everything related to SOLO from what is SOLO to how can we drive authentic change on a whole school level. Click here for an archive of #sologlobalchat. (1) Teachers are a generous and dedicated bunch of people – #sologlobalchat was held at 11am on a Saturday in the UK, 8pm on the Australian east coast and 10pm in New Zealand. I was tweeting from an iPad on a Saturday night. Andy was tweeting from a mobile device in his car and it was bed time in New Zealand. I don’t think there are many professions that will be holding a virtual meeting in such circumstances. Also, not many of us knew who each other was until we got onto #sologlobalchat. Yet we were ready to hand over our ideas and resources to almost complete strangers. This is one of the best things I love about teaching and teachers. We are happy to share anything at anytime to anyone because it makes learning better for our students. (2) Learning anywhere anytime – The massive increase in technology in our lives have always been discussed in the context of student learning. How can we flip learning for students? How can students use mobile phones to learn? How can learning be transformed in a 1:1 device program? However, the impact of technology isn’t just limited to students. Technology has also transformed the way teachers learn and collaborate. #sologlobalchat used technology to connect teachers from 3 countries in different timezones to synchronously share their expertise with each other. Professional learning for teachers is now breaking through the walls of schools. Teachers are no longer having conversations with teachers in their own staffroom or school only; we now also have conversations across the globe. Sharing of resources is no longer confined to photocopying a sheet and placing it on someone’s desk; resources are now uploaded online for anyone to download. All teachers can greatly benefit from using online professional learning networks to improve their practice. And teachers are a generous bunch. We will share anything with anyone because we want to improve all students’ learning. So if you are not part of an online professional learning network (PLN), join one. If you haven’t participated in a Twitter chat or Tweetmeet, just lurk around one and have a look if it’s for you. If you are doing all of these things, tap on the shoulder of a teacher who haven’t yet discovered this and show them how the benefits of an online PLN. The more teachers we have collaborating and sharing online, the better the learning will be for our students. Note – #sologlobalchat now has an Edmodo to share. Click here to submit a request to join the group. You want to do something cool? Let me get out of your way. This week, a member of my faculty asked me if they could a re-design a store room into a learning space. We have a large storeroom in between two classrooms which houses scientific equipment that we can move into another storage space. So this teacher thought if we could clear and clean up the space and find some tables and chairs, the space can be turned into a small learning space where small groups of students can do group work or where students can do quiet independent tasks while the main classroom can be used for other activities. This requires the removal of some cupboards and rearranging some equipment and storage devices. It’s a big task and will probably need few consecutive days of work, but this teacher has volunteered to do it in their holidays. I haven’t prompted this teacher in any way. They just wanted to do this. They want to work for free. This got me wondering – Why do we do work for free? As teachers, we often do a lot of work for free. Whether this is after work hours at home, on weekends or during the holidays, we are planning lessons, helping our students with extra tutorials or painting our classrooms. Not many other organisations have their workers working for free. Then I remembered an animation based on Dan Pink’s talk on three factors that motivate people and lead to better performance and satisfaction. In this talk, Pink talks about autonomy, mastery and purpose as the key factors that drive better performance. Interestingly, money does not motivate people to perform any better. Once you pay people enough so they are not worried about finances, autonomy, mastery and purpose are the main drivers. These three factors are also what drive innovation within an organisation. The teacher that wants to voluntarily come in during Christmas holidays to turn a store room into learning space isn’t getting paid any extra to do this. They are doing it because there is a personal sense of purpose. And I gave them the autonomy to do it. I got out of their way. Hopefully this will be the start of more innovations. 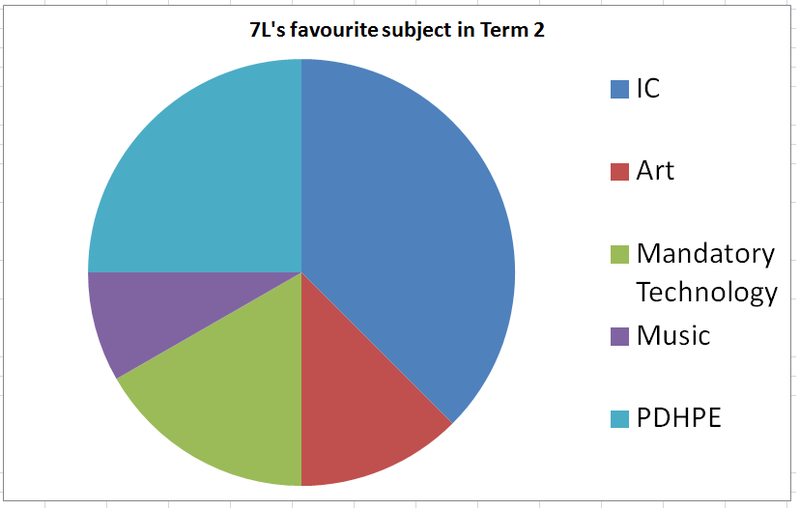 As Term 2 draws to a close I have surveyed my students again on their perception of classroom learning. I regularly gather and analyse feedback from my students in order to inform my future directions in designing their learning activities. 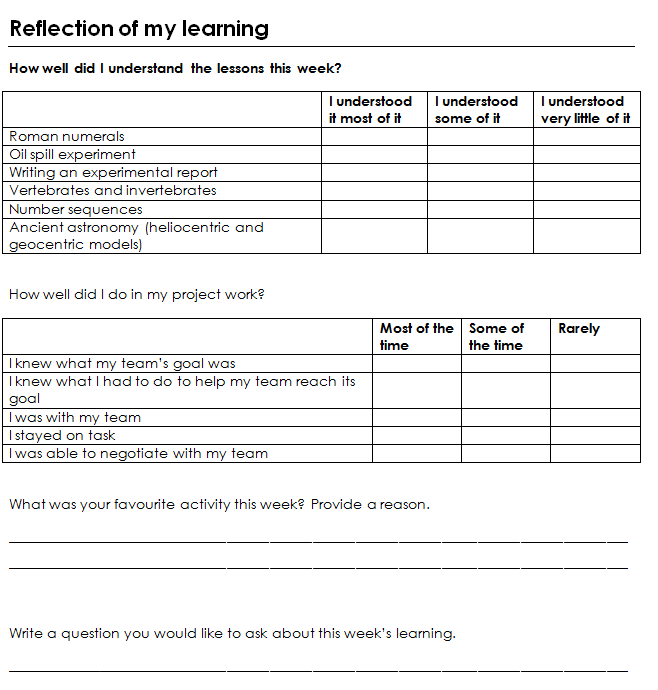 Every week my students complete a “Reflection of my learning” survey and at the end of each term they complete a survey where they evaluate the teaching and learning of the term. This term has been my second term teaching an integrated curriculum class. I teach just one Year 7 class this year. I have this class for English, Maths, Science, Geography and History. This means that lessons often have content from a mixture of KLAs. This is a middle years initiative my school is implementing for the first time. The aim is to allow a smoother primary-secondary transition and to implement best practices in teaching and learning for middle years students. Over the last two terms, I have also been experimenting with project based learning. My Year 7 class work on long term projects where on two hours every Monday and Friday, they work in teams on their projects. Our two latest projects are the 60 second science project (a combination of Science and English) and the Parthenon Project (a combination of History and Maths). In these projects, each team work at their own pace and they have choice over certain aspects of the project such us the method of presentation, the content, etc. To see some work samples from these projects, visit our class blog. Students noticing how they improved – We have been implementing the goals, medals and missions model of feedback over these two terms. I don’t give out marks or grades. Doing science experiments – The most interesting thing from this was that students mentioned how they enjoyed doing experiments where they did not know what will happen. They also mentioned how they liked experiments that allowed them to see changes overtime. We have been doing a lot of science experiments where the content was a mixture of science and geography. They were environmental science activities from Murder Under the Microscope where experiments required observations over several days. Students did not mention they enjoyed science experiments because they involved explosions or flames, which are often mentioned by students in previous year groups. Students were also asked how much they enjoyed particular types of learning activities and how much they thought they learnt from them. The top three activities that students enjoyed learning were also the activities they felt they learnt the most from. When asked in the survey whether they would like to continue project based learning in Term 3, 100% of students answered yes. In my observations and conversations with students, they clearly enjoy project based learning and are on task most of the time. From my observations they are also learning important skills in self-regulation, time management and team work, which will become increasingly important in their later years of high school. From my conversations with students, many of them often say Mondays and Friday’s are their favourite days because they have “project time” and they get very disappointed when I have to sometimes move their project sessions to different days due to learning spaces and resources being booked out. Well for one thing, I really want to lead my faculty in using data such as these weekly reflections and surveys to drive future directions in teaching and learning. I have found the weekly surveys to be an invaluable source of information to inform my teaching. Yes they take a long time to analyse but I have felt that my own teaching has improved massively because of it. 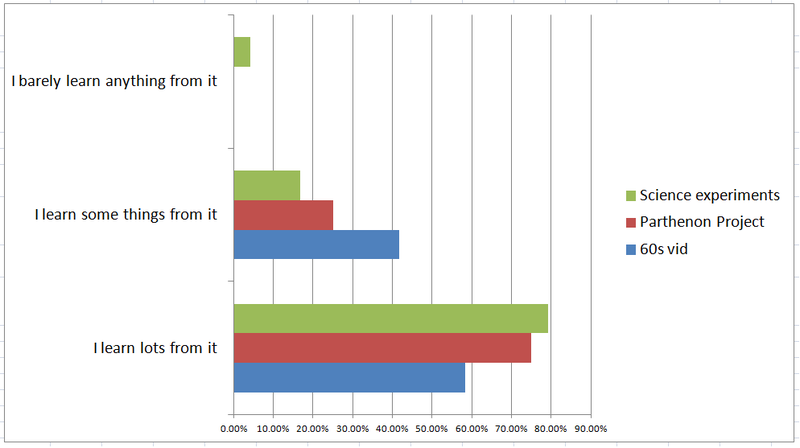 I find it interesting that the results show such a positive response for science. There is a trend for students in Year 7/8 to lose interest in science. Many science teachers think that students need to be engaged through explosive experiments. My Year 7s’ survey responses show a different story. They liked experiments which were long term and where they did not know the results before doing the experiment. This data will allow us to better design science learning for our other students. When we talk about student learning in the 21st century, we often talk about learning (and sharing that learning) anytime, anywhere. Social media and online collaborative spaces have allowed all of us to connect and collaborate 24/7 on our desktop computers, laptops and mobile devices. This shouldn’t just be student learning. It should also be how teachers work. When I stepped into the role of Head Teacher Science two years ago, I wanted to initiate a structure and process to allow my faculty to collaborate more effectively. One of these ways is to be able to collaborate anytime, anywhere. I wanted to start with the way we accessed and modified our teaching and learning programs. Instead of having these programs trapped on the school network, this year our faculty uploaded them on a wiki via Wikispaces (I was inspired by how Ben Jones, benpaddlejones, set up an online space for the Integrated Curriculum team through a wiki). The obvious advantage is the anywhere anytime access. We can now access our programs on our mobile phones when we’re waiting for a bus if we wanted to. Having the programs on a wiki also allows resources such as worksheets and online videos to be linked in the online document. Instead teachers trying to find a worksheet in a folder in the staffroom, teachers can now click on the worksheet name in Wikispaces, download the worksheet as a Microsoft Word document and modify it to suit their class’ needs. The main benefit of this has been collaboration. Teachers who are leading programs for a particular year group gather the feedback from other teachers and change the program as we teach it. This has now transformed our programs from a relatively static document to a living document that constantly revises itself. We also communicate via the wiki. A lot of our intra-faculty communication and faculty organisation are now done through the wiki rather than email. Not only has this decreased our need to constantly delete emails to keep our email storage space in check, but it has kept messages more organised because they are stored in one space. This has also reduced the need to trawl through emails to find, for example, an important message sent two weeks ago. So this is our faculty’s journey so far in using an online collaborative space to enhance how our processes. My next goal for the faculty will be to use the discussion function to further enhance communication and collaboration.